Patti Boucher, LMFT has a plethora of clinical experience from 40 years of practice. Starting in the late 70’s she began to combine somatic approaches from bodywork, dance and yoga training with psychological approaches. 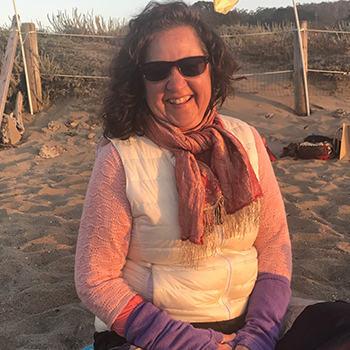 She combines EMDR, Mindfullness, TRE, Process oriented Psychology, Sensorymotor Psychotherapy, Martial Arts, and Expressive Arts in her work with individuals and groups. Her studies with Angeles Arrien’s Four Fold Path also has guided her use of ritual and ceremony in healing work. Patti also has extensive pearsonal background leading Vision Quests, and long sea journeys with her husband and sons.